The truth is that carpet cleaning is often underestimated as a house work and most of the people try to perform it by themselves. In fact cleaning your carpet may turn out to be a tricky job, since every carpet is different and you can easily ruin it if you don’t know how to treat it exactly. y years, we are providing the families in Wood Green N22 with clean and healthy atmosphere, without spending an arm and a leg for it. What make us that successful on the market is that we rely only on the best-quality when it comes to our job. Our employees are only experienced and skilful cleaning technicians, who are diligent in their work and put all of their efforts to meet your requirements. Our stronghold is our pleased customers who can stand behind our words. We are not only cleaning your carpets, we are protecting your family. We are bearing the responsibility of the health of all people in Wood Green who opt for our service, and that’s why we realize the importance of the flawless work. We can provide you with a guarantee that if you are not happy with our work, we will be happy to come back and correct our mistakes. Don’t bother yourself with time-consuming and useless efforts, instead of spending this time with your beloved ones. 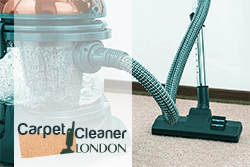 All you need to do is to visit our office in N22 Wood Green London and arrange a deep-cleaning of your carpets. We work every day, weekends included, so that we can perfectly match to your time schedule. You can contact our support centre for further information.